Comments: Lake Cornelia is another convenient fishing destination in Edina. Rosland Park provides an overall outdoor experience. 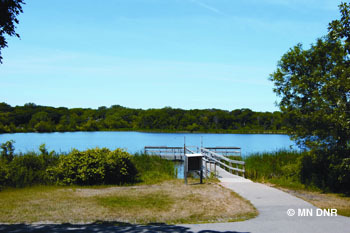 An abundant population of Yellow Perch can be reached from the fishing pier, located on the east side of the lake. Bullheads and Common Carp are a couple of other species that can be caught and can provide a good challenge for a young angler.